Tocca Cleopatra Candle is a blend of cucumber and grapefruit, emitting a light and clean, yet luxuriously exotic scent for the bathroom, underscoring Cleopatra's indulgence for her milk baths. Uniquely beautiful and richly fragranced, Tocca's luxurious hand-poured Luxe candle will captivate your senses. 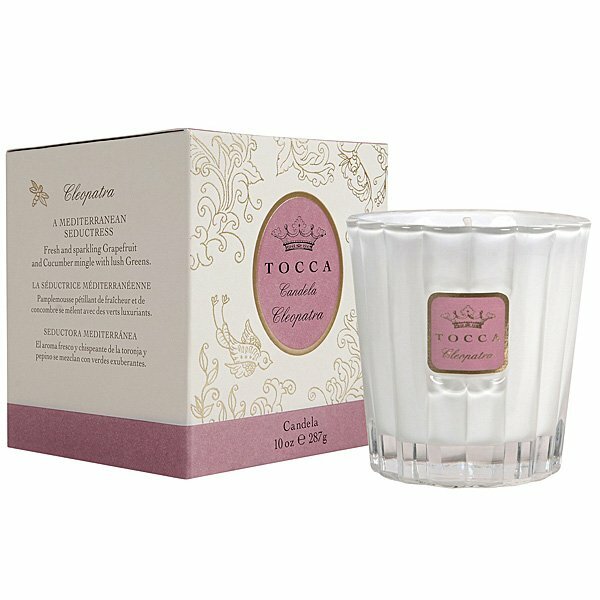 Housed in custom-made white scalloped glass and fragranced with Tocca's classic scents make this collection the perfect accessory for your home or as a gift to the Tocca lover in your life.